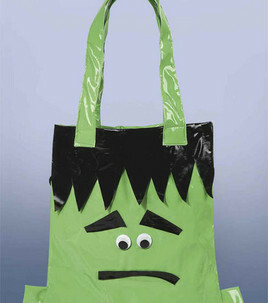 I found this cute Frankenstein trick or treat bag on JoAnn.com. What a fun way to collect your candy. It looks pretty easy to make, and the idea can easily be changed into one of your other favorite monsters. Good candy bags. Excellent collection.